it’s almost chinese new year time. aka, time for nian gao (pronounced like neen go). if you placed me on a spectrum of chinese americans, i’d be on the more american side. i used to joke that i only spoke dim sum, rather than cantonese. this meme is the depiction of how little of the language i know (mgoi = thanks). even subtle asian traits is over my head most of the time, since i don’t speak mandarin/cantonese/vietnamese. and though i reached out to my chinese american friends for translations of the character on the cake pan i used here, it was my grandma who was finally able to tell me that it stood for longevity. 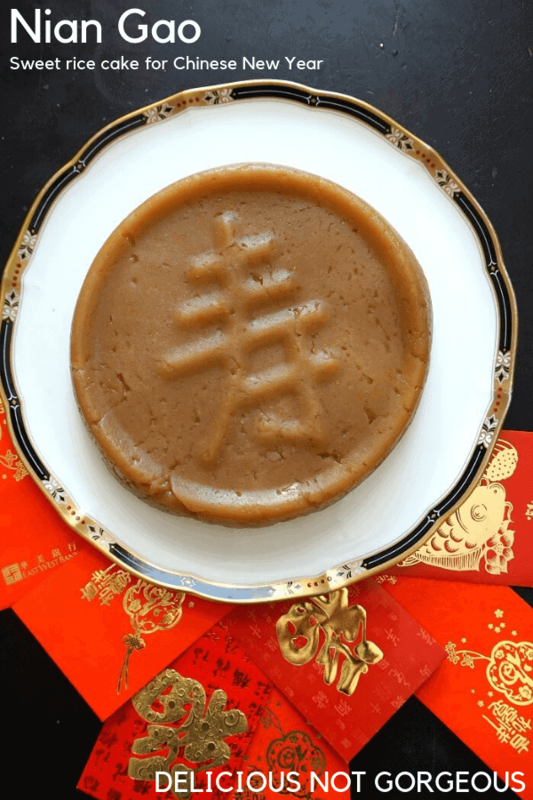 what’s nian gao? it’s chewy and bouncy, almost too wet and sticky when it’s fresh from the steamer. i personally like my nian gao best after a few days of aging, when the texture is firmer and it’s a little starchy and too tense to eat straight. cut it up into long slabs, dip in beaten egg, and pan-fry on both sides. mmm. i’ll leave you with this nugget from my great aunt, who gave me this recipe that’s she’s adapted: “if mold appear[ed] on the surface [of the nian gao], [my mom] just wiped it off and considered that as a good omen because the word “farn” for mold growth sounds the same as the word for getting rich).” thank you aunty myra!! 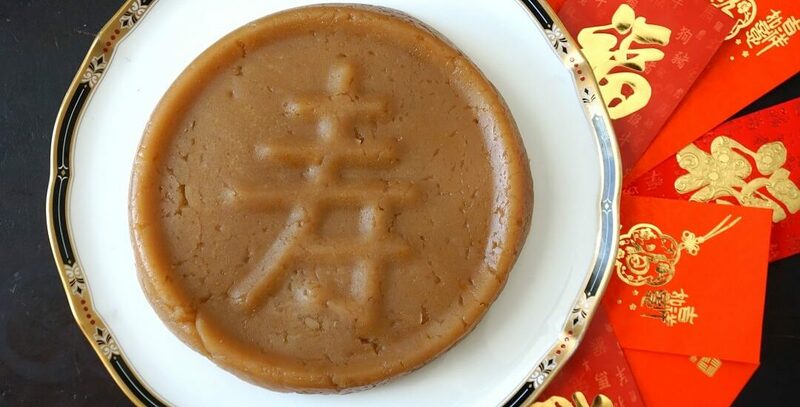 Nian gao is an addictively chewy, slightly sweet Chinese dessert made with sweet rice flour. 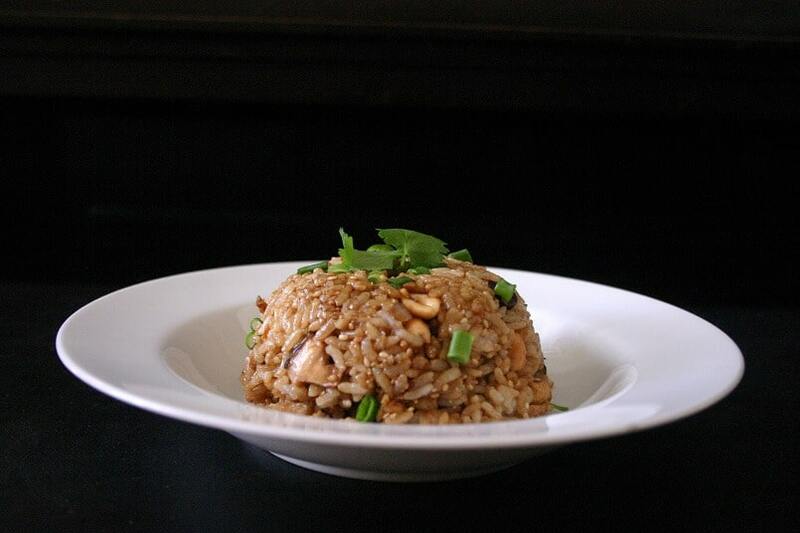 It's traditionally eaten during Chinese New Year! Dissolve the sugar and salt in boiling water. Add any flavorings you want, and mix until combined. Then add the rice flour and mix well into a paste. You're looking for something close to really thick peanut butter (think an un-stirred jar of natural peanut butter) or slightly wet cookie dough, so add more water as you see fit to reach this consistency. Transfer the paste into a well-greased (I like using cooking spray, especially if you're trying to use a decorative pan) 10” round cake pan, smoothing as best as you can (it’s okay if it’s still lumpy on top). Steam for 2-2.5 hours over medium-high heat until a chopstick inserted in the middle comes out clean. Keep in mind that you might have to add more hot water occasionally, especially if you use a really short rack to elevate your cake pan and a shallow skillet (me). I keep a thermos of hot water on hand and add water 3-4 times throughout the steaming process. Remove the cake pan from the steamer and cool completely. 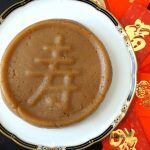 You may be tempted to drain off any water that may have dripped on top of the cake, but resist (or else you might accidentally plop the nian gao out before you're prepared to). Wrap the nian gao in plastic wrap tightly. If you plan to eat it within a few days or you plan on eating it plain, then I'd recommend storing at room temperature. Otherwise, store in the refrigerator for up to a week. 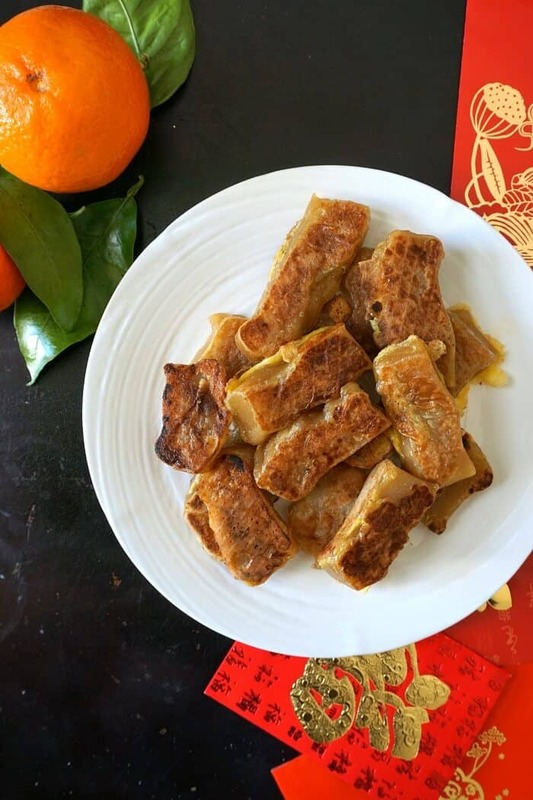 If the nian gao is really hard and starchy, cut it up into thin planks, dip in beaten egg, and pan-fry in a skillet until browned. Nian gao is typically only sugar, water and rice flour, but you can add other flavorings if you want: citrus zest, fresh ginger, extracts. The only mod I like to make is swapping half of the water for light coconut milk, since it gives the nian gao a bit more flavor, without changing the traditional flavor too much. Looks so yummy! I have never seen this before. I would definitely want to try this fresh but then after a few days like you prefer it. Totally perfect for Chinese New Year! not sure if you’ve had japanese mochi before, but it’s similar to that in texture! they’re both made with rice flour, though i typically see them filled with fruit or sweet beans or chocolate! Not sure I would go with the wiping off mould method haha. Happy Chinese New Year! I’ve not seen or tried anything like this before, I’d love to taste it! The texture sounds really interesting. it’s super chewy and soft! like japanese mochi or jian diu (the chinese sesame balls). I’ve never heard of this before! I would love to try it sometime. Happy (almost) Chinese New Year!! Haha I like the joke about speaking dim sum. THE MOST IMPORTANT LANGUAGE! But on the real note, MMmm nian gao is delicious!! Frying makes a big difference in its taste! 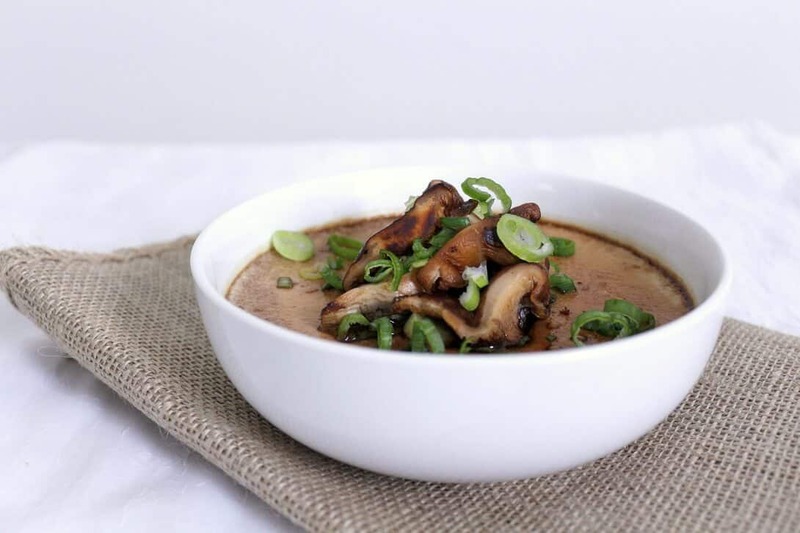 Oh man, this recipe feeds a ton of people!! I love that your auntie shared the recipe. Thanks!! Happy Lunar New Year! hahaha dim sum > all other dialects (; i couldn’t believe that some people had never pan-fried nian gao because that’s hands down the best way to have it. Happy New Year Heather! I have been seeing so much of this cake this past week, that I really wanna attempt. It looks chewy with caramel notes. So delish and different!